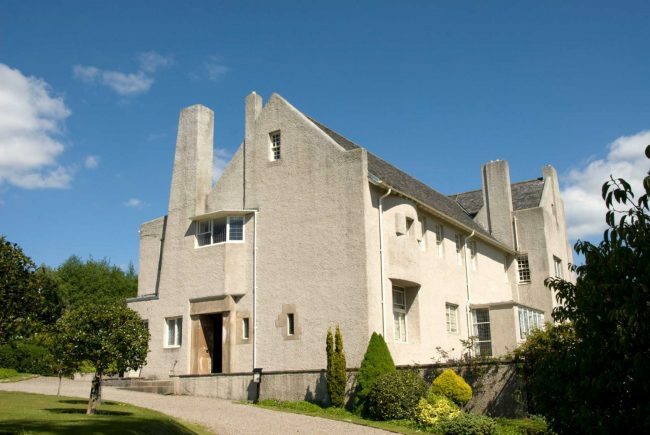 The Hill House is considered to be Charles Rennie Mackintosh’s domestic masterpiece. Working to a commission from Glasgow book publisher Walter Blackie, up-and-coming architect Mackintosh and his wife, the artist Margaret Macdonald, created almost everything you see here, from the building itself to the furniture and textiles. Think early 20th-century Scottish design and you’re bound to conjure up images of Mackintosh’s geometric lines and elegant purity. His creations were exquisitely simple and have become icons of the Glasgow Arts & Crafts movement. Outside, the beautiful garden has also been restored in line with some of the early designs and reflects the palette of Mackintosh colours. The Hill House is temporarily closed for conservation work. Find out more about the Box The Hill House project.